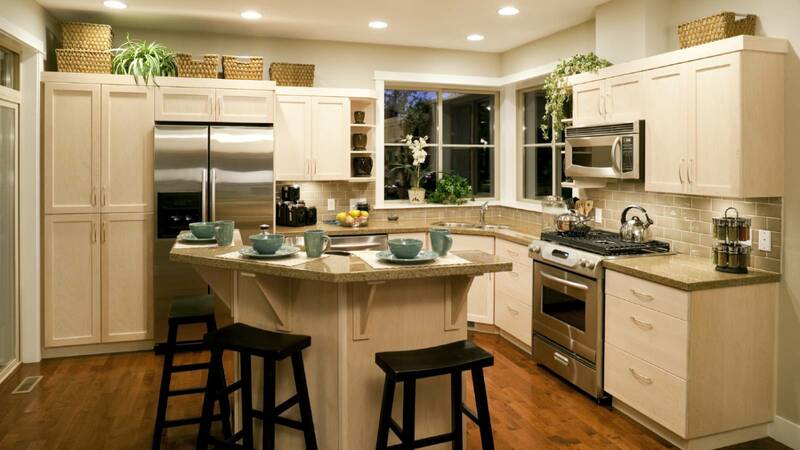 The kitchen is definitely a heart in everyone’s home, so it has to be designed and styled in the most practical, organized and nice way possible, for the cooking experience to be smoothly and perfect. 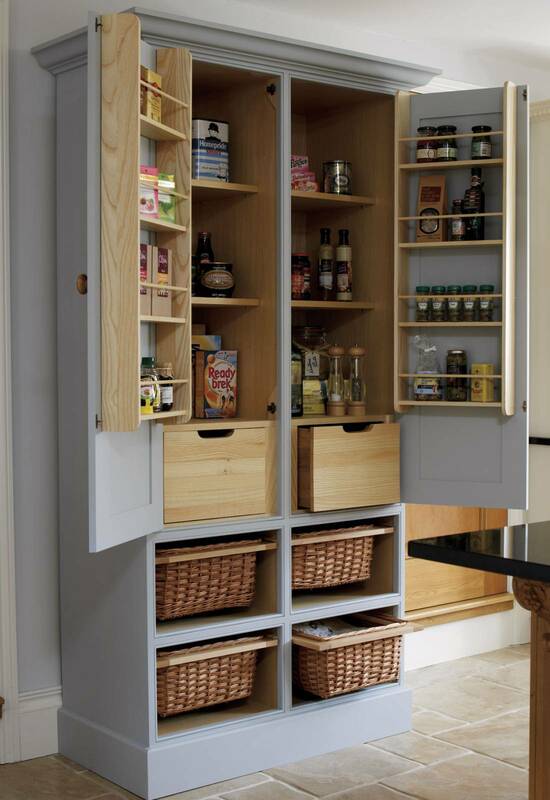 The one thing that every single kitchen needs is a storage, in the form of a well organized pantry, to keep everything you need neat and in order and of course, at hand reach. 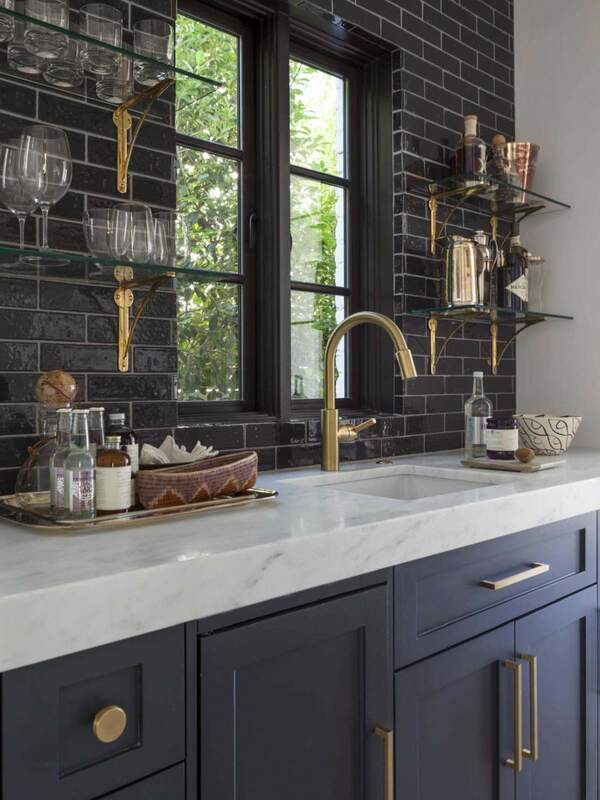 There are many different types of pantries, from built in, sliding, to big walk-in ones, but anyways it is preferable that you incorporate it into the overall kitchen design, so that it looks and fits in just right. 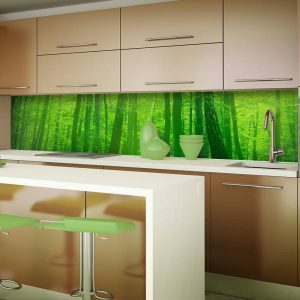 We have found some very alluring pantries designs for the modern kitchens today and we decided to share them with you, so feel free to check out 10 Super Modern Kitchen Pantry Cabinets list, to get some ideas when choosing a pantry of your own. Read on and enjoy! 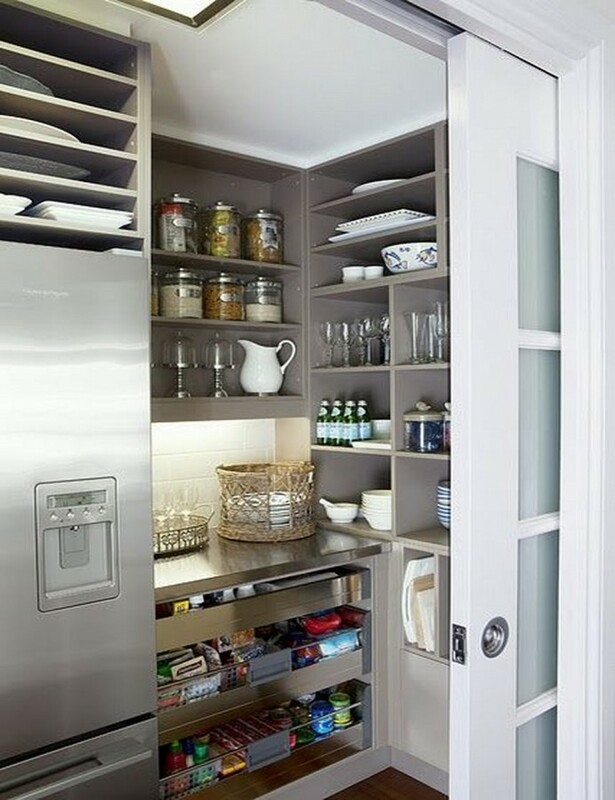 This is a very smart design of a pantry, mainly because it’s tall and fits a lot of stuff in a small space and also because its placed next to the wall at the end of the kitchen, so it’s well hidden. If you own a very tiny kitchen and also you like your pantry to go noticed, that we suggest you try doing something like this. 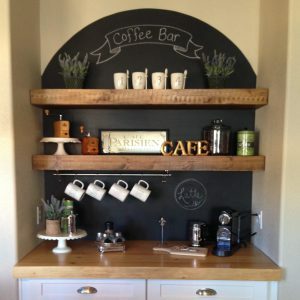 If you have the space needed, than go for it and transform a whole room next to the kitchen into a walk-in pantry. 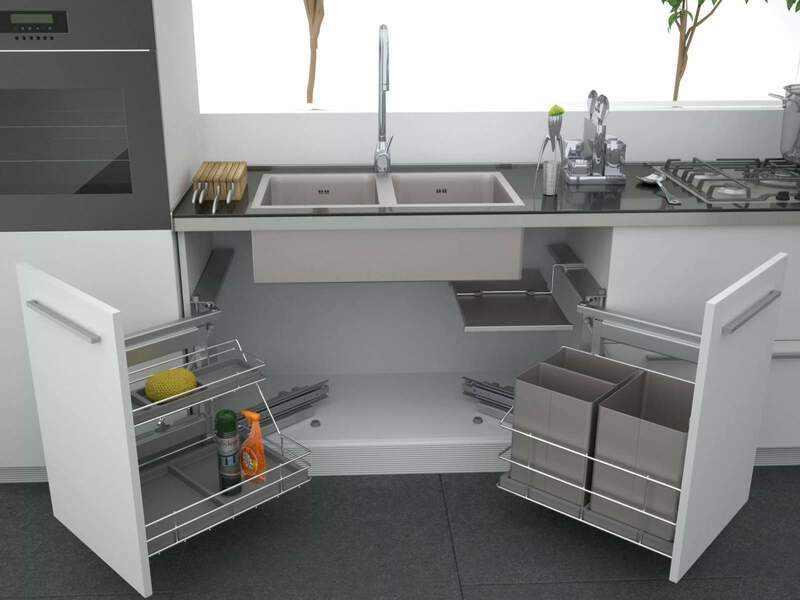 This way you will always have the space to store all the kitchen stuff you need without making a mess and overwhelming a spot. 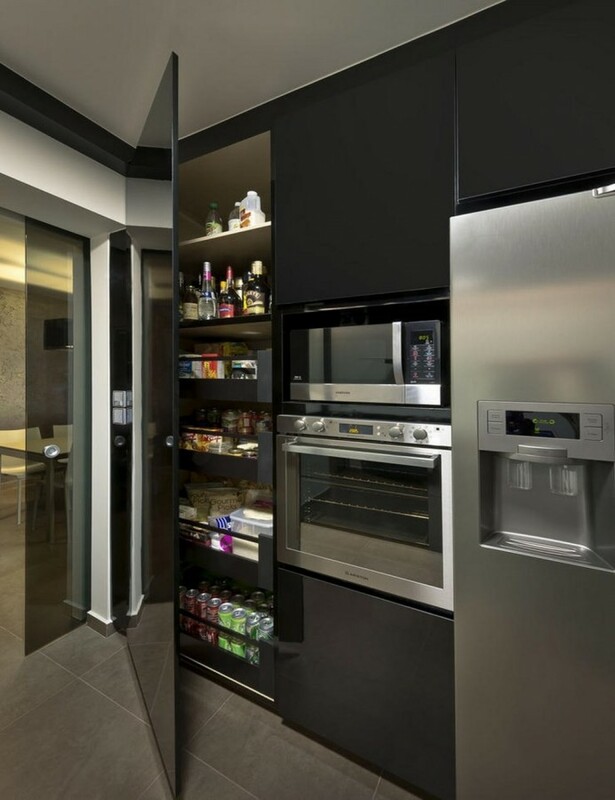 A super modern built-in pantry in a very alluring black kitchen. 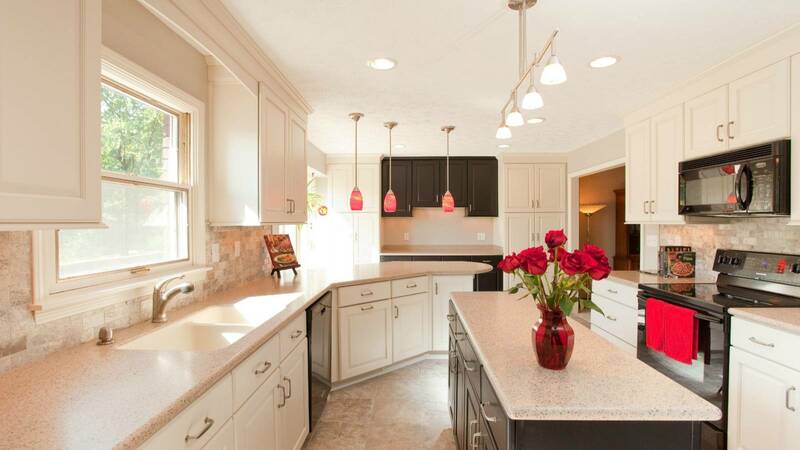 This whole kitchen radiates with elegance and style, and the pantry fits into the totally sophisticated ambiance. 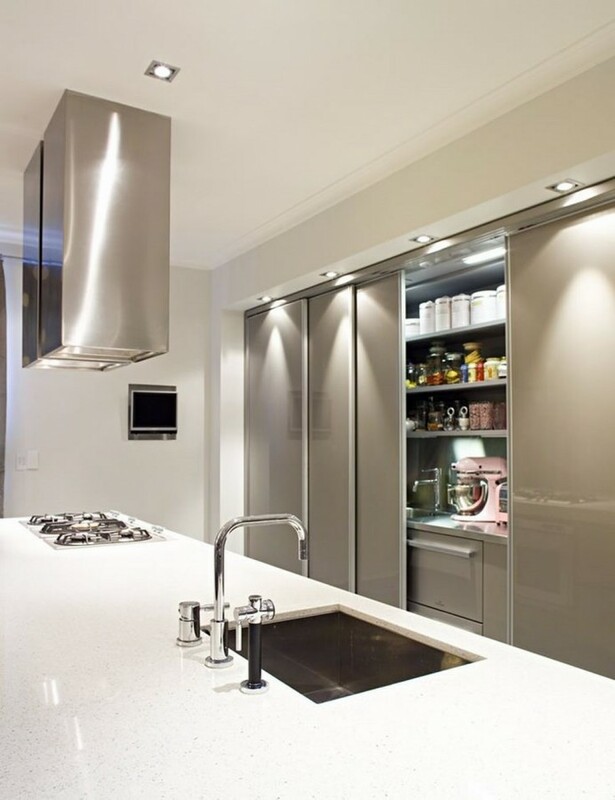 A super bright and fresh pantry on a slide into a very alluring shiny white kitchen design. Perhaps this is the most practical and neat way of organizing the kitchen stuff if you don’t have much space for this purpose. 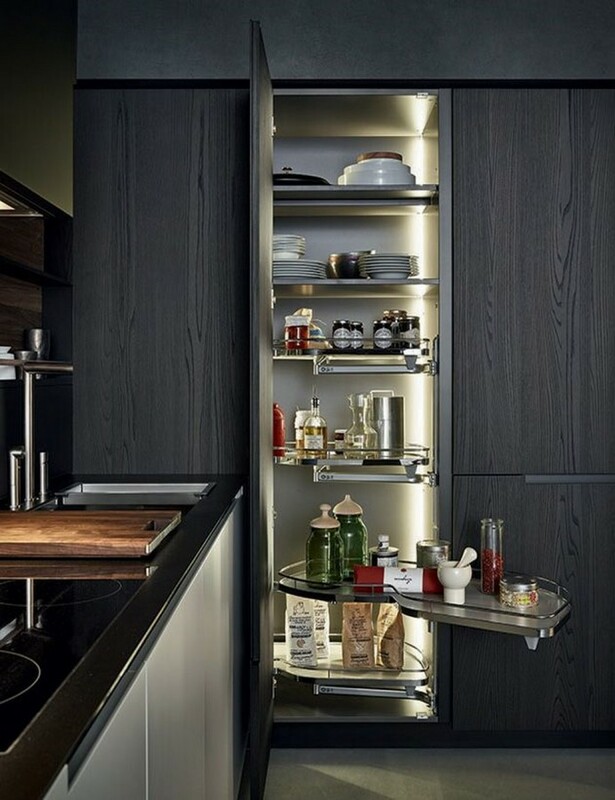 A very elegant and modern built-in pantry in a totally gorgeous modern kitchen in dark hues. 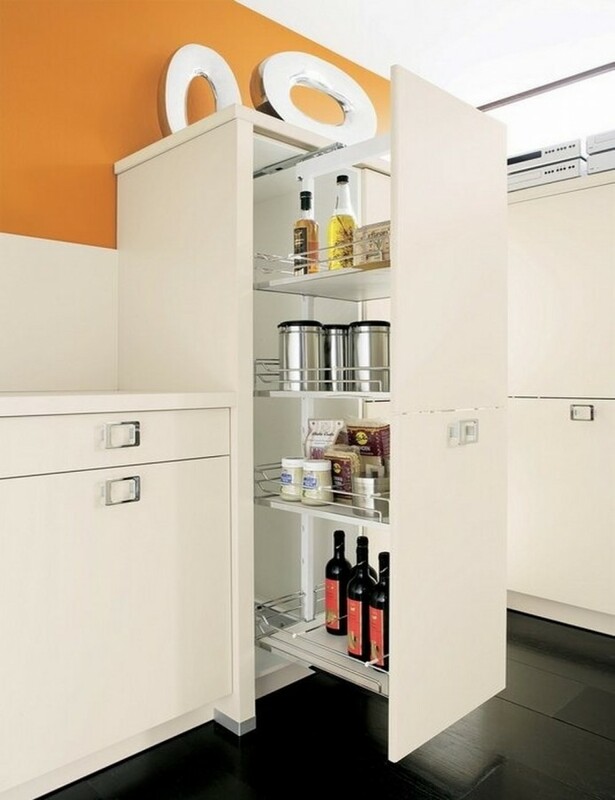 It is quite tall and organized, so it can stuff a lot of products needed in the kitchen. Definitely our favorite and we are dying for a pantry like this. 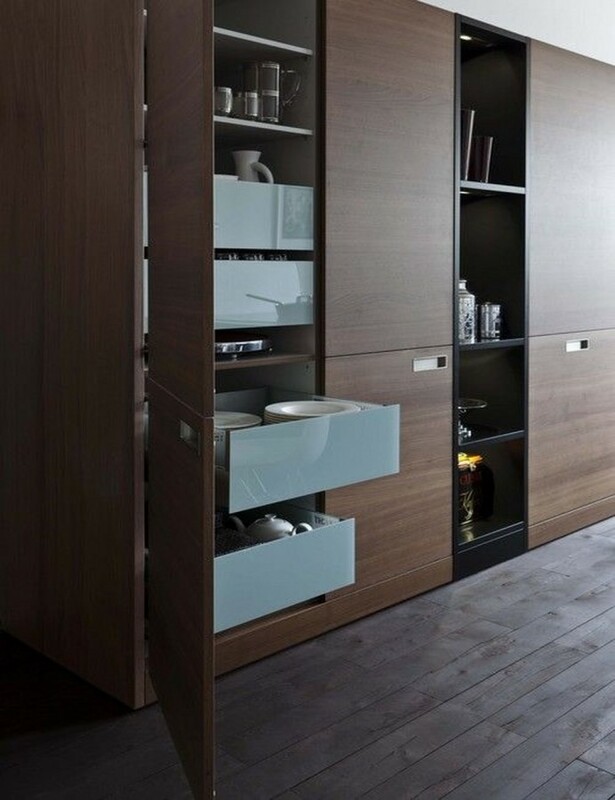 This is a very profound design and a stylish outlook of a simple pantry, that is beyond everything we have imagined. 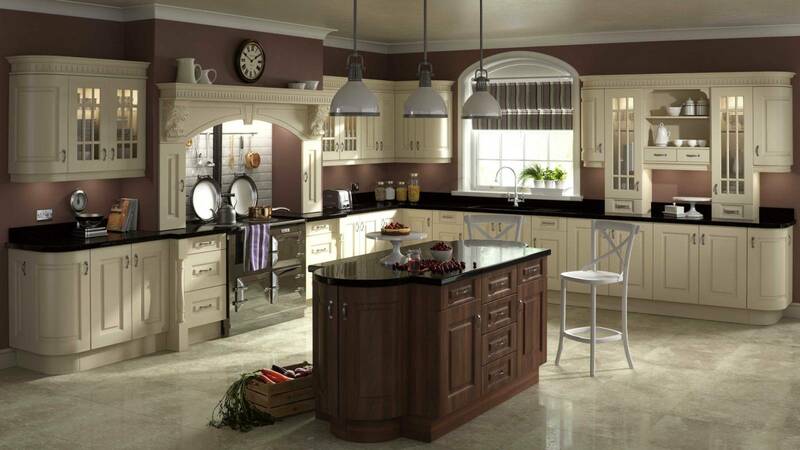 It is a pure art in kitchen design. 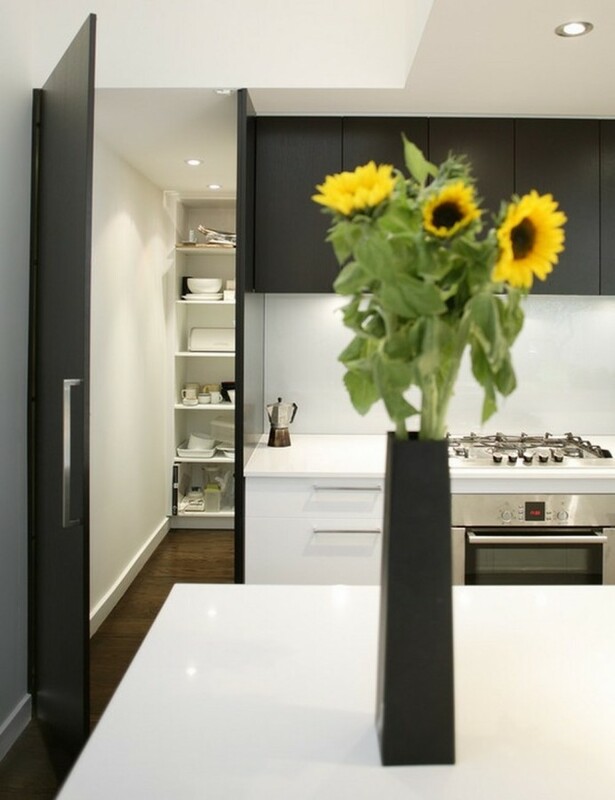 A lovely walk-in pantry complements this modern contemporary kitchen design. With the glass door, this pantry doesn’t keep anything hidden, but adds to the vibrancy and the dynamic into the kitchen space. 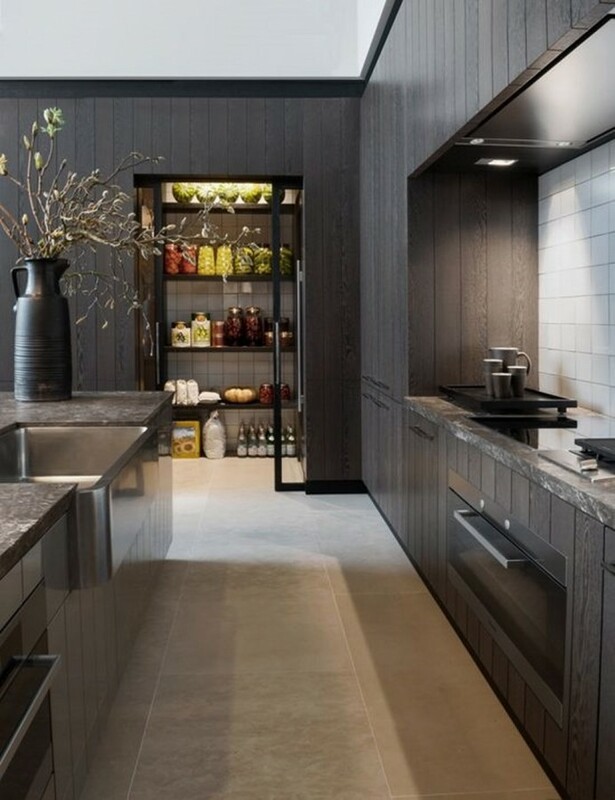 Maybe not the most practical idea, to put the pantry next to the fridge, and then place a door in order to close everything up, but it looks very good, modern and neat, so if you like it, you might as well try it. Who knows, it may work for you. 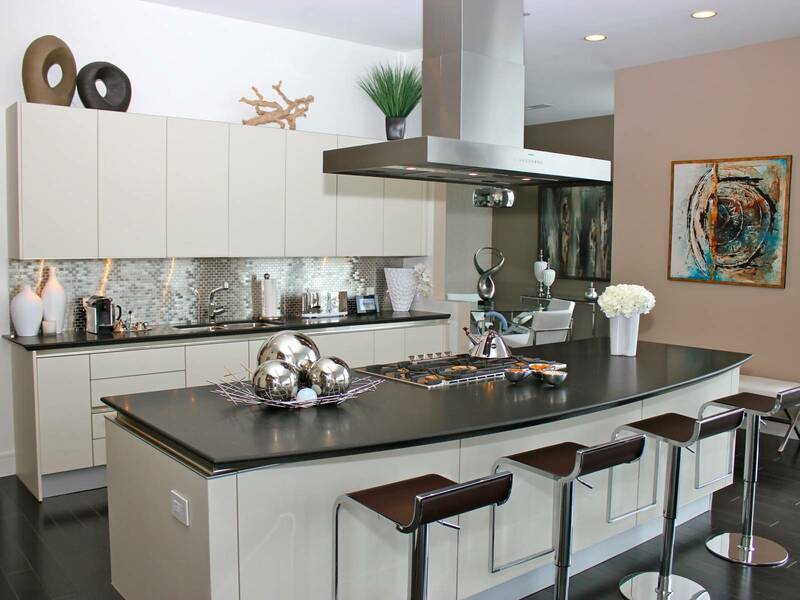 The designer of this opulent and sleek super modern kitchen has solved the problem with its neat and organized appearance by simply adding sliding doors all the way. Behind the doors there is a pantry, drawers and everything you can find in a regular kitchen. Looks very up-to-date, stylish and profound. 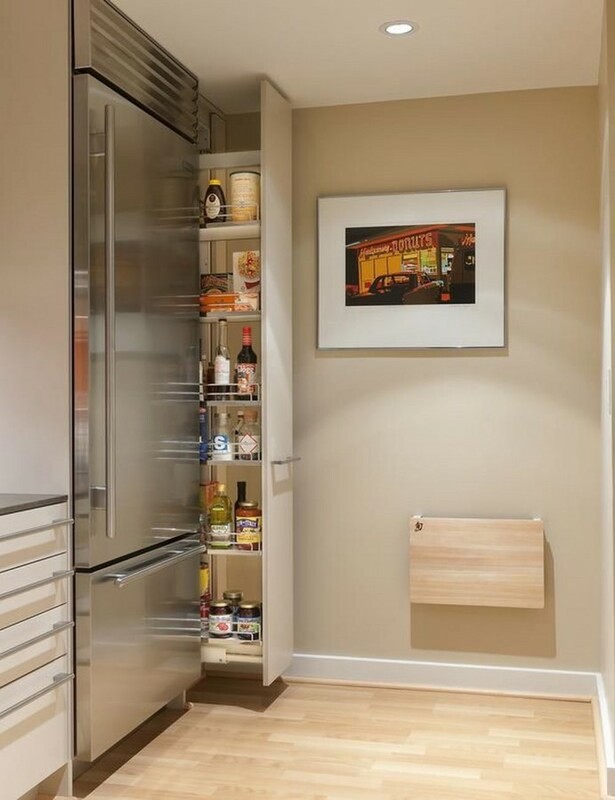 Now this walk-in pantry is something different. 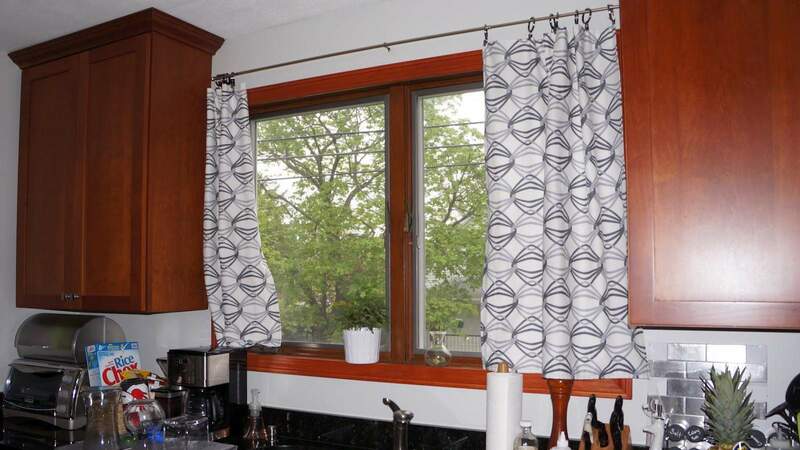 Looks so stylish, chic and lovely, that would be every woman’s dream kitchen add-on. It even has a chandelier inside for an absolute gorgeous appeal.